Honey is one of best sweet natural remedy, which has a lot of antibacterial properties. 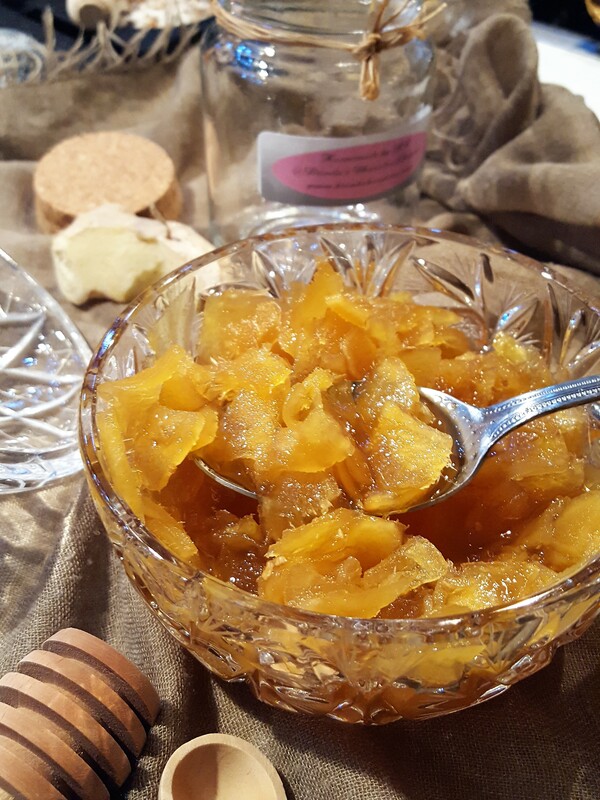 Eaten on its own or as an accompaniment drizzled over certain dishes, honey is the perfect golden finish to most dishes its added it. 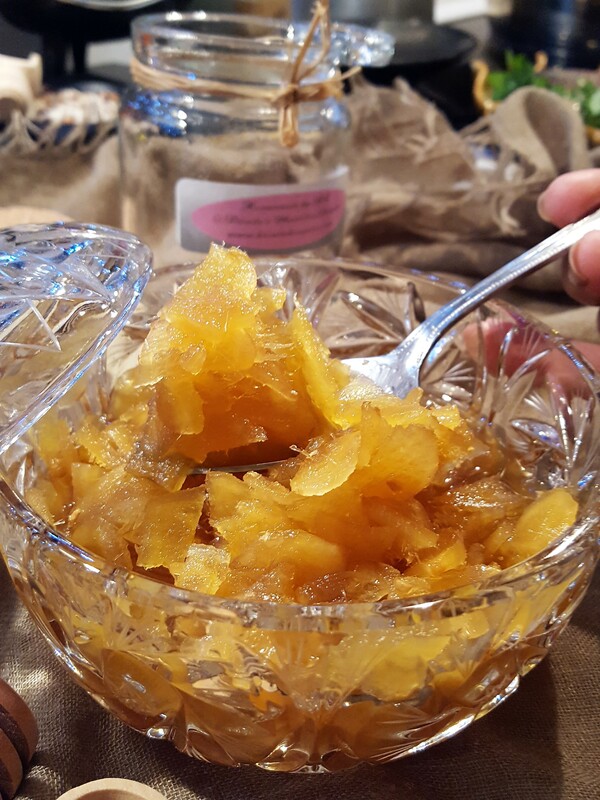 Many people would recommend a small spoonful of honey in the morning as a remedy to sooth cough and sore throats. The next magic ingredient for cold and sore throat and a great antibacterial is ginger. Ginger is probably rated quite high on the list if healthy spices. It helps with indigestion, pain and inflammation, nausea and many more to add to the list. These two when combined together can only be a good concussion. 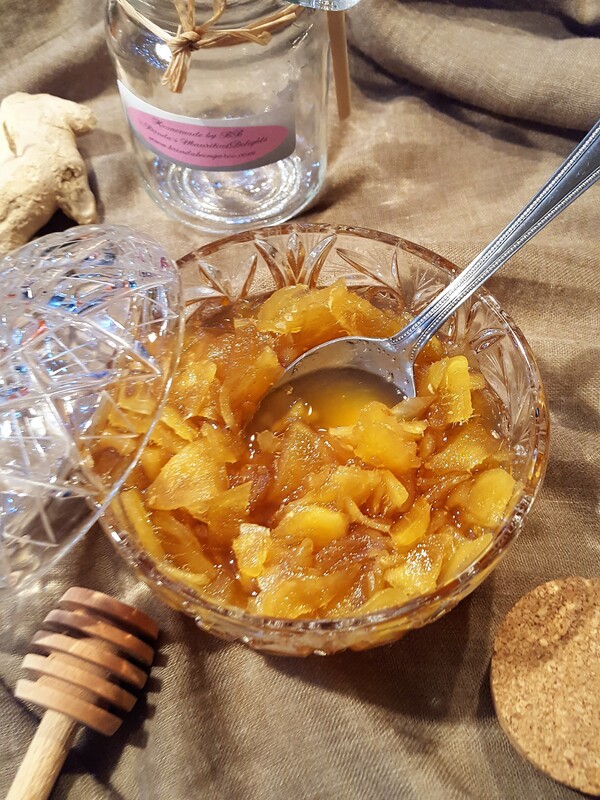 From colds, sore throat to indigestion, bloated problems ginger & honey is a good jar preserve to always keep in the house. Use in hot water or tea when you’re feeling ill. Both of these together are a perfect combination to chase off “bugs” by boosting your immune system, flushing toxins through your systems and helping get rid of aches and chills. You can use in other ways apart from treating health problem, perfect to drizzle on warm oat meal, pancakes, rice pudding, tea and even cakes. A great preserve but more importantly, good for your health. Peel the ginger stem, then thinly slice. 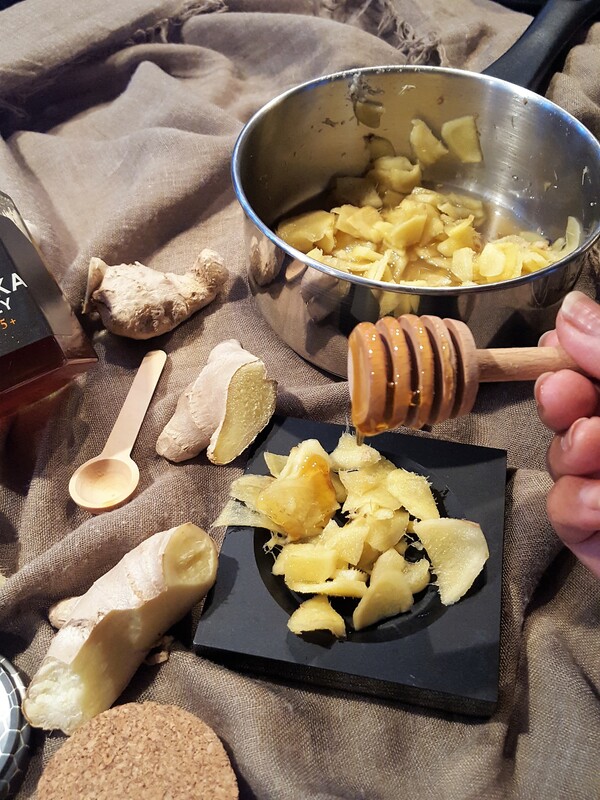 Pour the honey into a saucepan and add the finely sliced ginger stem. On low heat let the mixture sit for 10 minutes, until the ginger takes on the glowing look. Watch the honey carefully so it does not burn, stirring frequently. Remove the honey from the heat and allow it to cool. Remove from the heat let it infuse for 2 hours, and then pour in a glass jar. 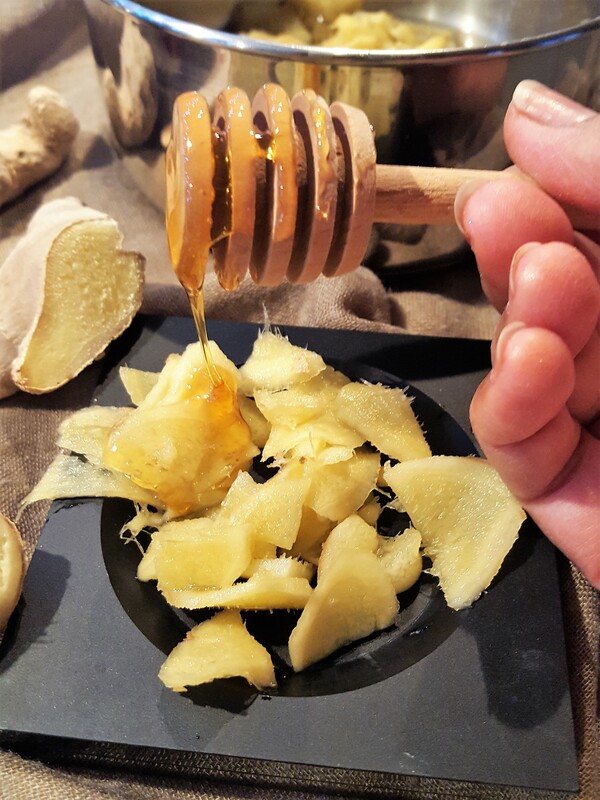 The ginger honey will keep for approximately 2 -4 weeks. Brinda’s Note: To note I can’t take all the credit for this home remedy since it’s has existed long before I even existed. However I can say it’s my brother who re-introduced this into my life, and I feel happy to share.